Source: U.S. Naval History and Heritage Command Photograph (# NH 73092), courtesy of Mr. Kazutoshi Hando, 1970. 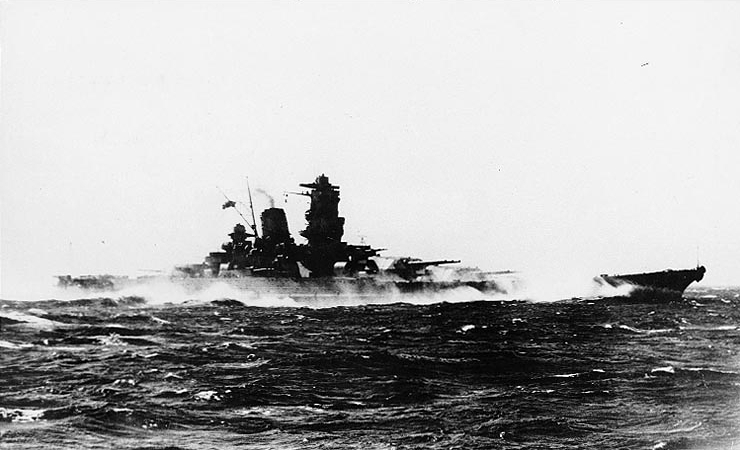 If you have spotted any errors on this page (Battleship Yamato running trials) or have anything to contribute please post it on the battleship forum.